Me and my little friends are going to get reaquainted!! 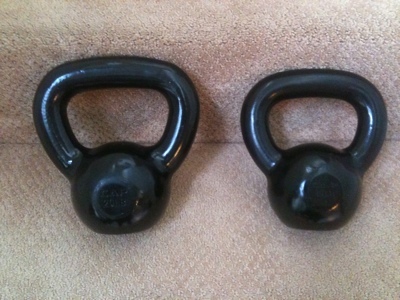 I’ve wanted to get back to swinging my kettlebells for a while. But with my hip, I needed to wait and be careful. I wanted to start last week but I popped something in my lower back and had to make an unexpected run to the chiropractor. Well on Sunday I woke up and finally felt great. So tonight the plan is to pull out my book and my bells and go swing for 20 min. Wish me luck!! plan on icing, stretching and rolling my legs and back after I finish. ← My friends do awesome things!!! They are great, hard and everything in between. 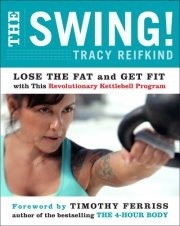 I’m just doing one move – the basic swing and i’m sore today.